F Jordan Draper (Red Deer, 2007-08) has signed a one-year contract with Nice (France, Ligue Magnus). This season, he led Strasbourg (France, Ligue Magnus) in scoring, with 35 points, including 11 goals, in 43 games. . . .
F Tyler Fiddler (Calgary, 2007-11) has signed a one-year contract with SønderjyskE Vojens (Denmark, Metal Ligaen). This season, with Esbjerg (Denmark, Metal Ligaen), he had 17 goals and 27 assists in 45 games. 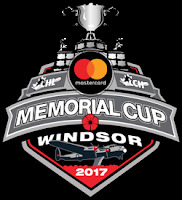 The host Windsor Spitfires opened the 2017 Memorial Cup tournament with a 3-2 victory over the QMJHL-champion Saint John Sea Dogs on Friday night. The Spitfires hadn’t played in 44 days after having been eliminated in the first round of the OHL playoffs. . . . Last night, the Spitfires opened up a 3-0 lead and then hung on as the Sea Dogs scored two goals in the game’s last four minutes. . . . F Jeremiah Addison opened the scoring at 15:53 of the first period, on a PP. . . . F Jeremy Bracco upped it to 2-0 at 18:17 of the second period, and F Aaron Luchuk made it 3-0 at 4:48 of the third period. . . . Saint John made it interesting with late goals from F Nathan Noel, on a PP, at 16:50, and D Thomas Chabot, at 17:14. . . . G Michael DiPietro of Windsor and G Callum Booth of Saint John each stopped 20 shots. . . . The Spitfires were 1-4 on the PP; the Sea Dogs were 1-5. . . . Announced attendance: 5,926. . . . The WHL-champion Seattle Thunderbirds play their first game today (Saturday) when they meet the OHL-champion Erie Otters. Game time is noon PT (3 p.m. ET). The Lethbridge Hurricanes revealed Friday that assistant coach Mike Craig won’t be back for a fifth season. According to the team, Craig “will pursue other opportunities.” . . . Craig, 45, had been with the Hurricanes since August 2013, working alongside head coaches Drake Berehowsky, Peter Anholt and Brent Kisio. . . . From the Hurricanes’ news release: “During his tenure with the Hurricanes, Craig was a key member in helping the franchise build towards success. After a 12-win campaign in his first (season), Craig remained and was a big part of helping the ‘Canes improve every (season) including guiding the Hurricanes to back-to-back 40-win seasons and helping them to the Eastern Conference (final) in 2016-2017.” . . . 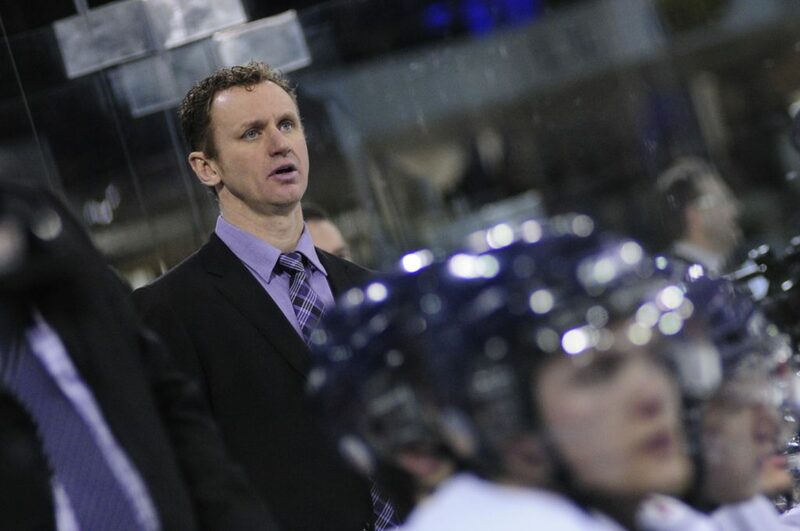 In each of the past two seasons, Craig was responsible for the Lethbridge defencemen. The Vancouver Giants have signed F Justin Sourdif to a WHL contract after selecting him third overall in the 2017 bantam draft. From Surrey, B.C., Sourdif played for the Delta Hockey Academy’s bantam prep team this season, putting up 32 goals and 34 assists in 29 games. @tpigulski Who do they think they are? Prince George?